The Chai Tallit is a beautiful contemporary tallit shawl that was designed to preserve the classic and elegant look. The Chai Tallit has a thick band with modern Jewish motifs including chai and menorahs woven in jacquard design. 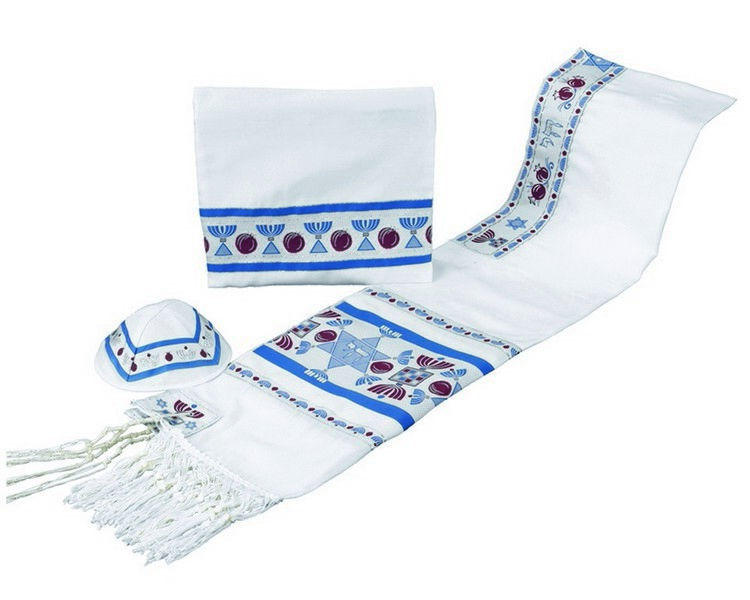 The Chai Tallit set includes a matching tallit, tallit bag and kippah, made from a quality blend of wool and Dacron. 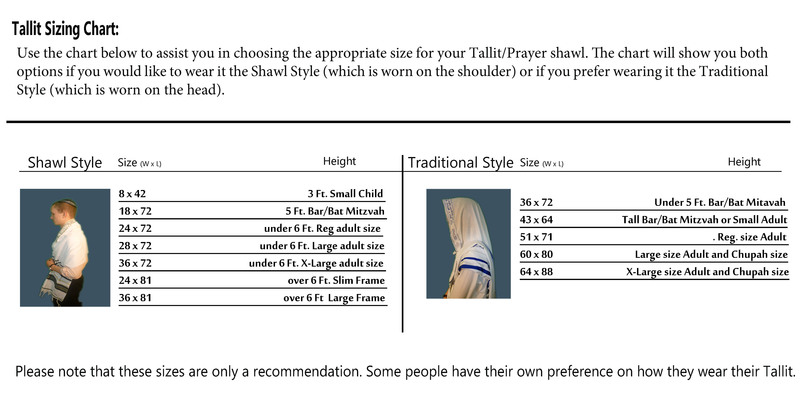 The Chai Tallit comes with a matching atarah neckband. Both sides are finished with fringes.